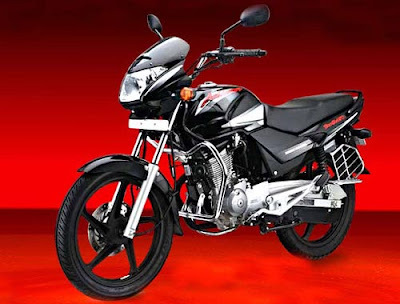 Hero Honda Motors Limited, India's biggest two-wheeler market leader, has recently re-launched an improved version of the company existing bike, Hero Honda Achiever in India. The Achiever was launched first in 2005 and than re-entered the market with an upgraded version in since 2007. The Hero Honda Achiever was not suited as per customers expectation and failed to make a very large effect on the Indian buyers. Now the company hopes, the new version of Achiever will come up them expectation and helps to increase sales of the company. The new improved version has been developed with cosmetic and structural changes. The new bike also has improved graphic design along with sticker changes. New Hero Honda Achiever now powered by 4 Stroke, Single Cylinder with ATFT technology machine, which enhances fuel efficiency and excellent performance. The powertrain of the bike is produces top power output of 13.4 Bhp at 8000rpm while generates peak torque of 12.80 Nm at 5000rpm with its 149.1 cc displacement. 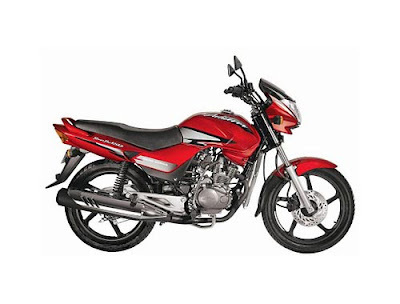 The new Hero Honda Achiever will be offering better mileage of 55 kmpl in city. The fuel tank capacity of new version is around 12.5 litre along with 2.3 litres in reserve. It is available in both options of kick and self start. The new bike is incorporated with 5 speed transmission type. The front wheelbase fitted with front disc brake, while the rear wheel comes with Durm brake. The new Hero Honda Achiever also equipped with advanced puncture resistant tuff up tube and 5-spoke black alloy wheels. The Black Cast model of new Achiever is priced at Rs. 73700 (ex-showroom, Bangalore), while the Red Cast model is also priced at Rs. 74400 (ex-showroom, Bangalore). The new bike comes with five exciting shades and colours - Magnetic Blue, Candy Blazing Red, Force Metallic Silver, Black Purple, Black Blue. The engine of new Hero Honda Achiever has also been painted with black colour.